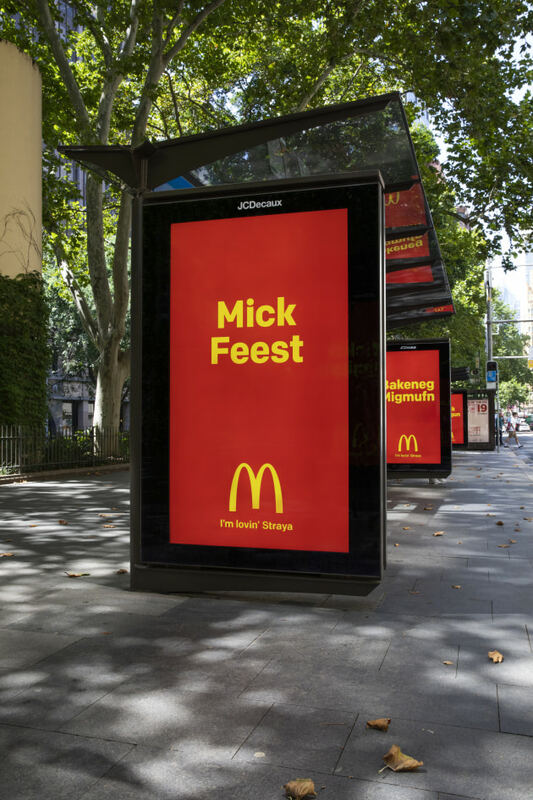 To coincide with Australia Day, Maccas is celebrating Australia’s iconic colloquialism by changing the spelling of their menu items to match the country’s unique use of the English language. 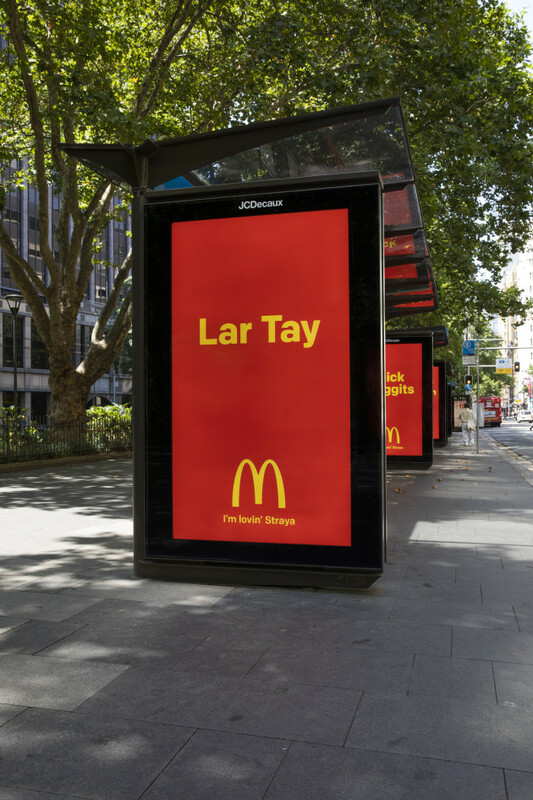 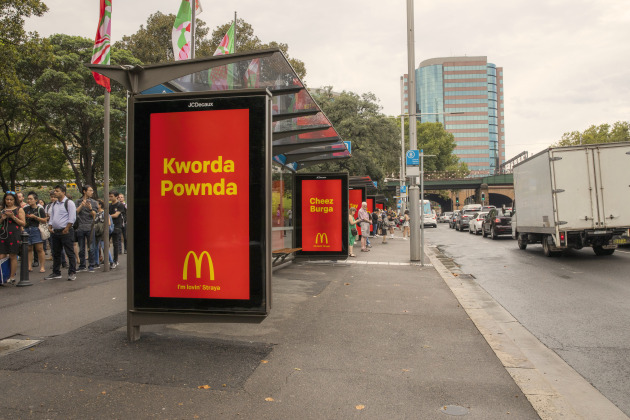 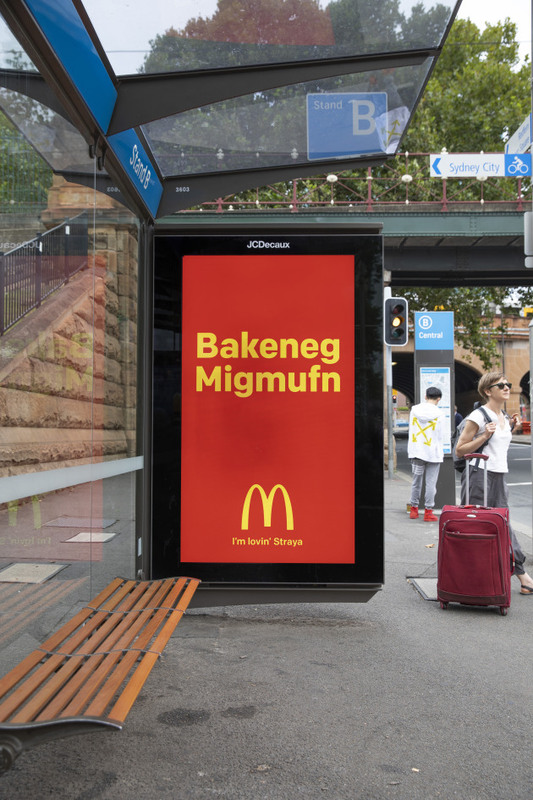 Across the nation, posters pay tribute to the Aussie take on classic Macca’s menu items, inviting people to celebrate with a Bakeneg Mugmufn, Lar Tay or a Filadafsh. 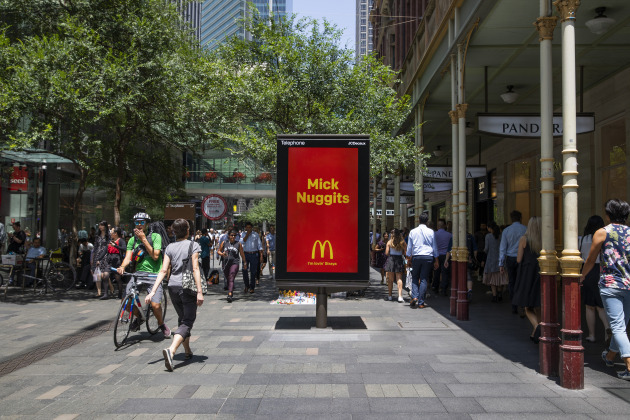 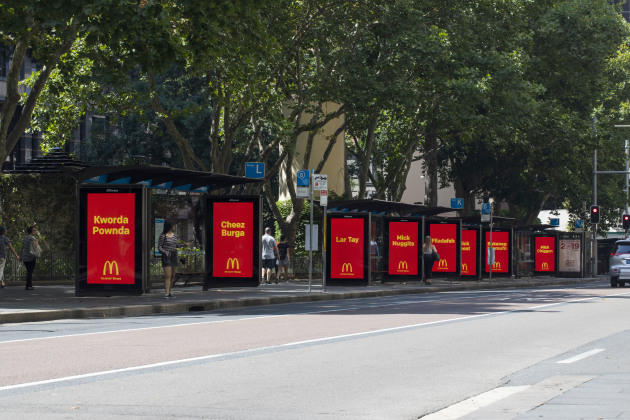 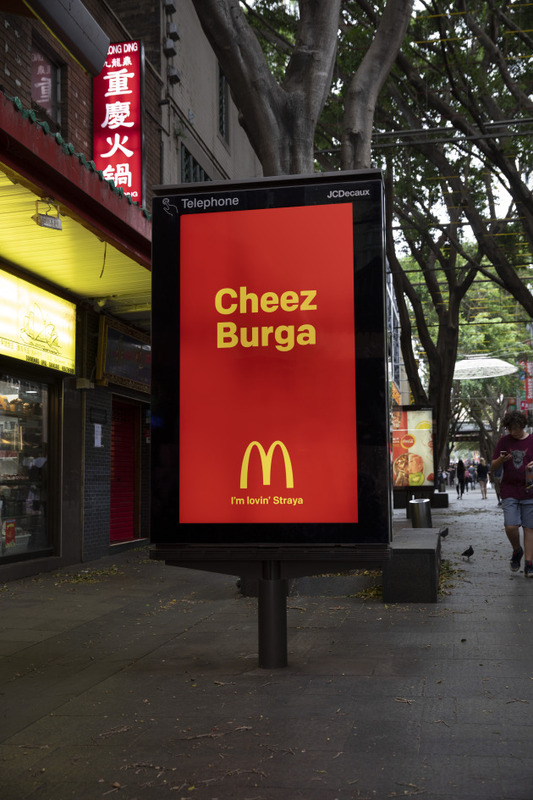 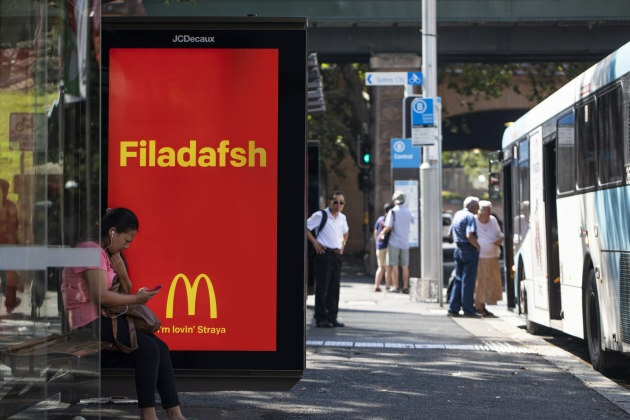 The outdoor campaign, by DDB Sydney, features the classic Macca's colours of bright red and yellow.